Mostly we zest the peel for use in a recipe. We candy the lemon peel and dip it in chocolate for a snazzy treat. 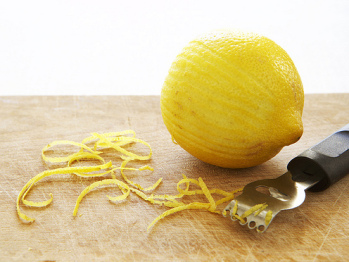 We toss the lemon rind in the garbage disposal—the grinding of it freshens the disposal and kitchen in general. And then we place bits of peel on windowsills, along thresholds, and near any cracks or holes where ants and other pests might enter. But while we use the lemon in these ways, most of us don't usually eat the entire lemon on a regular basis. And that's too bad, because there are a bunch of advantages to doing so! For instance, besides avoiding waste, there are huge health benefits to eating the complete lemon. We really ought to do more than just juice the lemon and incorporate it into dishes. The lemon peel ought to be eaten as well—it contains as much as 5 to 10 times more vitamins than the lemon juice itself. So knowing about these benefits, I've been adding a diced whole lemon to my green smoothie every morning. And then I ran onto some more research and great ideas on using whole lemon that's expanded my lemon regime. My husband was cooking up a little Ramen (dead food, in my book) the other day and added some grated frozen lemon; the results were delicious. It's a comforting thought that such a simple step can boost the nutrition of a typically nutrient-empty meal. Since I read about freezing and using whole lemons, I am now practicing this advice. Besides grating them for use in my dishes, however, I am blending fresh whole lemons in my high-powered blender (since I gave my Vitamix to my daughter, I'm currently using a Blend Tec; they both work well for these heavy-duty jobs). I add about 1/2 cup of water to get them mixing. 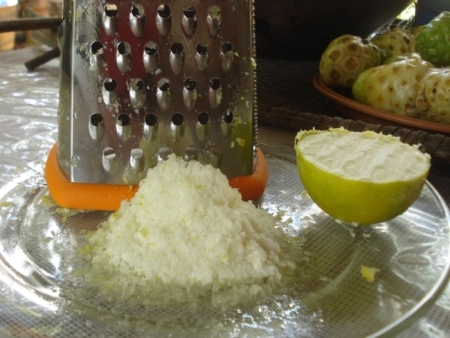 I puree approximately 5-7 whole lemons at a time, depending on their size. Then I pour this puree into ice cube trays and freeze. 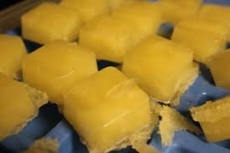 Once the puree is frozen hard, I pop the cubes into plastic freezer bags or freezer containers and return them to the freezer. Now besides whole frozen lemons, I also have prepared whole lemon puree for drinks, sorbets, smoothies, etc. And I just love adding these whole lemon cubes to my bottled water. The flavor and vitamin punch this technique adds is incredible. Finally, knowing that the vitamin and antioxidant make-up of limes is similar to lemons, I'm going to experiment with pureeing whole limes, mixing this with my lemon puree, and freezing as mentioned above. The flavor ought to be terrific. 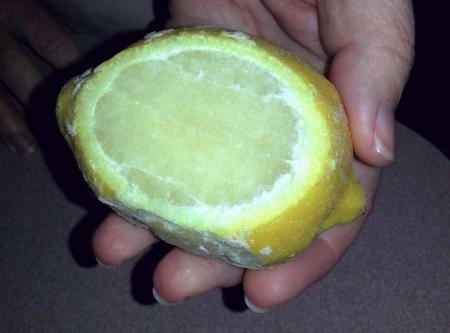 Meanwhile, here's to using whole lemons in more and more of our dishes and to improving our health along the way!